I was in America when the 2015 Beer Marketing Awards event was held, but being a judge I already knew the results and had had to keep shtum for a few weeks. Beer awards generally are for the product: either international events or more local, “Best in Show” sort of things. But these awards were different, acknowledging that in the current boom in cask and craft beer in the UK the brand is, or certainly will be, as important as the beer itself. Recognising this is a huge step forward. Legendary beer writer Michael Jackson was consciously averse to the idea of brands in beer: he was born and experienced a time – in the 1960s and early ‘70s – when the national brewers strove to create one size fits all products – Watneys Red Barrel, Worthington ‘E’, Double Diamond. You could conclude that this was an early exercise in brand building, but in truth, it was really operationally driven: to remove significant cost and complexities from bloated supply chains and huge product portfolios after years of acquisitions. Brands, on the other hand, are built on a quality product, indeed, on a distinctive experience – but it is unsurprising that Jackson was influenced by these dark times for beer lovers. So it has taken some time for beer marketing awards to emerge, and it has done so at a time of a fundamental change in what people are drinking and who is making it. I’m not sure what I was expecting walking into to help judge. It would be easy to believe the hype about Millennials. The brand: consumer relationship is different now; here are consumers who are actively rejecting ‘corporate’, embracing small, local, artisanal, I don’t know – not buying their beer but swapping it on Swapz or Gumtree? And the art of marketing itself, the rule book has been ripped up hasn’t it? No big TV adverts, no communication built on a functional USP, heaven forbid, no humour lest underage drinkers are beguiled. In short: I was expecting marketing outputs that reflected this ‘new paradigm’. I was expecting marketing activities, frankly, that I would loathe. Thankfully, it wasn’t like that. Some things were different though. Firstly, there was a real focus on the trade, from brewers the size of Heineken to a start up from a couple of lads with an idea (in their kitchen surely, it always is). Trade marketing, a term rarely used today despite its newness, has always felt like the illegitimate sprog of ‘proper marketing’. Yet it seems that beer brand owners are waking up to how critical it is in a market where, unlike food say, you don’t rapidly get 100% distribution in the supermarket and go from there. In the on trade, out in pubs and clubs, as a new brand you may be lucky to get one point of distribution on a town’s circuit of bars. Building a meaningful relationship with licensees therefore is imperative. And of course, there were digital and social ideas aplenty, in fact, it felt like a case of quantity over quality – not to say that the ideas were poor – but some were well, lazy – they could have been amazing ideas if all the weight of the business was put behind them as part of a bigger campaign and frankly, they tried to achieve less. Alas, it seems too many people are believing the hype. No, what remains is that the core skills and knowledge around brand management are just as important today as they ever were. In beer, where there are now more breweries per capita in the UK than anywhere else in the world and alcohol consumption per capita is falling, they’re not just going to be important but business critical. Building a brand isn’t a marketing activity. It’s a business activity – the winners of the awards seem to get this. They get that you need a strong idea. BrewDog for example, essentially position themselves as ‘anti Big Brewer’ and therefore in a way, anti-marketing. But their immensely collaborative #Mashtag campaign was pure marketing: getting your consumers to help you create a new brand that you will then sell back to them, fully bought in and advocates of it to others. A lovely idea, a deserving winner. They get that you need to own a thought in the mind of your target drinker and to then be ruthlessly consistent. Estrella Damm, distributed in the UK by Charles Wells, didn’t receive an award but a commendation, nevertheless, it’s worth highlighting how strongly they bring everything back to their central brand idea – the lifestyle thought of ‘Mediterraneamente’. All paths lead to Barcelona, it seems. They get that you need own an experience. The Belgian brand Vedett won the award for ‘Best Use of Merchandise’, which sounds quite prosaic, but underlines how something as simple as merchandise, glassware, promotional items can be when used to link and join all stakeholders in the brand in a virtuous, self-supporting relationship. Sound a bit OTT? 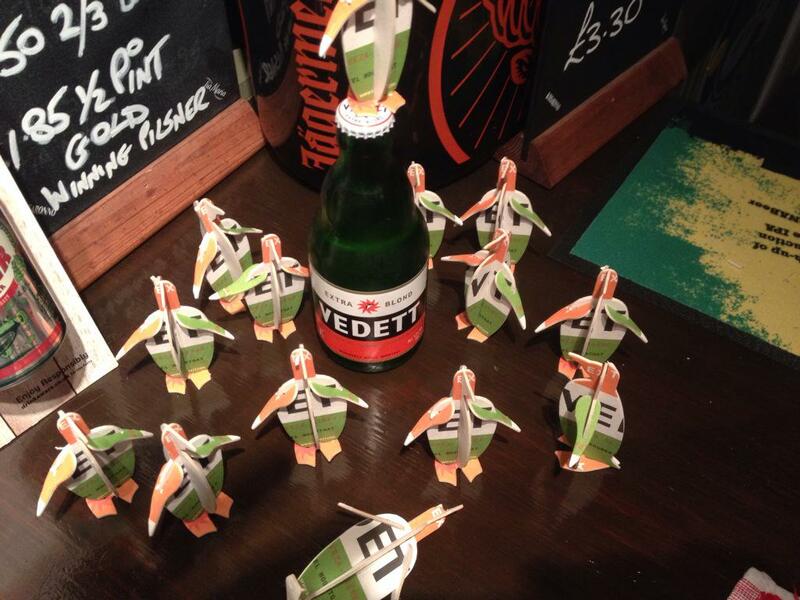 I don’t think so: the Vedett Extra campaign focused on a creative use of merchandise, making it an essential part of the brand world and experience – indeed drinkers could get involved in creating it. Consequently, the ‘brand’ lives outside drinking the product itself and punches well above its weight amongst customers and indeed, consumers. They get that focus and sacrifice – doing less stuff, doing it bigger – are vital. Trooper Beer for one, saw this. A collaboration between Robinsons of Stockport and Iron Maiden, it’s a brand with distinct advantages – a huge, positively disposed group of potential customers. Yet, the brand itself is pretty new and small – so it focused solely on getting the distribution known so potential drinkers know where to buy it. Marstons, with their beautifully titled #Goblineers campaign did something similar. Sometimes having a smaller marketing budget (if any) is better. It forces choice. And they get that traditional media isn’t dead. Yes, personalised, digital communications are important nowadays. But you also need to establish your idea and get it out there. The overall winner was a distinctly traditional, ‘non marketing’ business – Fuller, Smith & Turner. Their main brand is London Pride and that they should win the first Overall award was unanimous. Why? They faced into the brutal truths facing them. The explosion in breweries on London over the last 5 years has been seismic. Put it this way, I ran the sales division for a multinational brewer in London in 2006. There were three London brewers, Fullers being one of them. Nine years later, there are over 70. 67 of which have a claim to be younger, funkier, more daring than the old boys in Chiswick. Fullers recognised this and used their digital platform to create awareness and trial for the brand (#EmptyPint) – offering to buy a second pint for free if you tweeted a picture of your empty pint. This presumes of course that you buy a first. Source: Fuller, Smith & Turner Ltd.
And they stayed focused on their main brand of London Pride. The lazy reaction could be ‘we have to do new things, to fight on their turf’. Rather, Fullers recognised the quality and inherent strength of their brand and sought to build fortifications round it whilst inviting people into the Keep. And in doing so they stayed true to their provenance and their position. Their creative, ‘Made of London’, ran (is running) mostly on the highly traditional formats of posters and print. Despite the short term competitive challenges Fullers are taking a long term approach, ‘Made of London’ is spot on for the brand and timeless in execution and tone. Which just goes to show that an old dog can teach a new dog old tricks. David Preston is founder of The Crow Flies, a research, strategy and innovation company that helps brands find a direct route to long lasting success. David was also a judge of the 2014 Beer Marketing Awards. david@thecrowflies.co.uk; +44 (0) 1283 246260; www.thecrowflies.co.uk; @crowflieshigh. 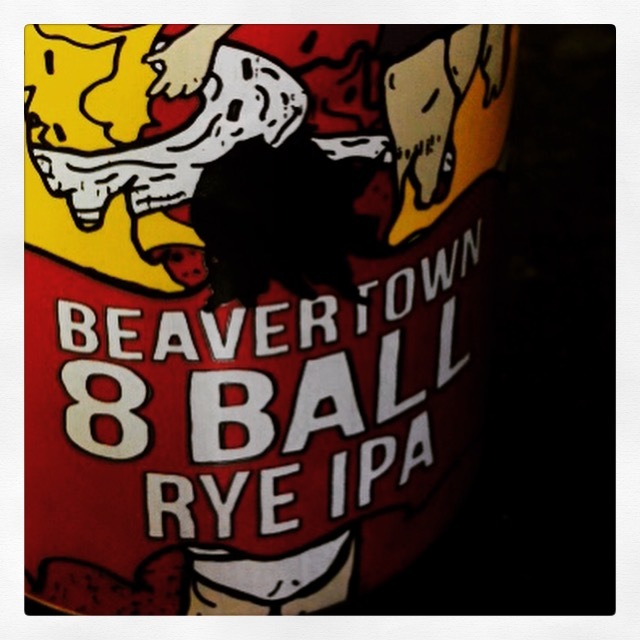 Posted in Strategy and tagged Beavertown, Beer Marketing Awards, Brands, Estrella Damm, Fuller, Smith & Turner, Vedett on May 1, 2015 by David Preston.